iPin spatial ruler is designed to fit in the 3.5mm audio jack of your iPhone and turn it into a measuring tool. That sounds cool? Let’s keep checking. The iPin is an innovative and easy-to-use measuring tool dedicatedly designed for iPhone. The spatial ruler measures 20.5 x 7 x 6.6mm, weights 0.8g, and as we can see from the images, it shows off an ultra compact and lightweight design, and its integrated 3.5mm audio connector allows it to always stay together with your iPhone, you even can’t feel its existence if you don’t need to connect your headphones with the handset. 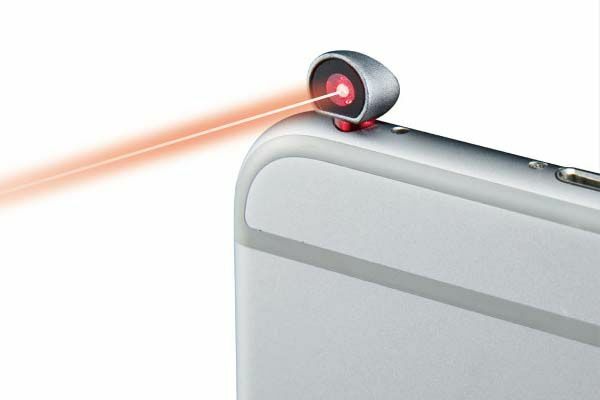 The iPin comes equipped with a simple laser spot and advanced spatial calculation technology. 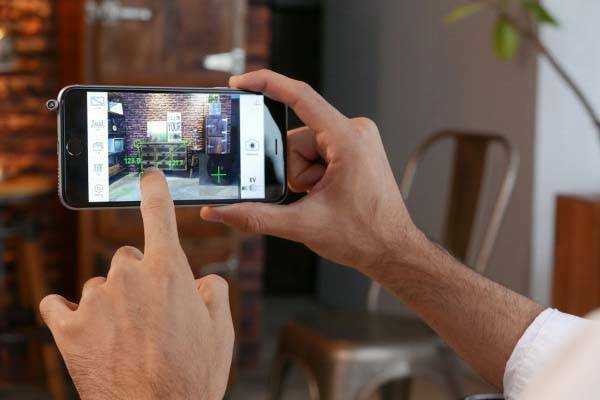 With the help of your iPhone’s camera, the measuring tool measures the distance and length wherever the laser dot locates in a single shot, and its companion app allows you to measure the length between any two points in a photo. All you need to do is just run the app, turn your iPin staying on your iPhone 90 degrees on, and start your measurement. In addition, the measuring tool delivers an accuracy rating of 3% for both distance and length measurement. The iPin has been available for preorder on Indiegogo. You can pledge $33 to preorder the spatial ruler. It will be shipped in October this year. BTW, also don’t miss Bagel smart tape measure and more related cool stuff by following tags.